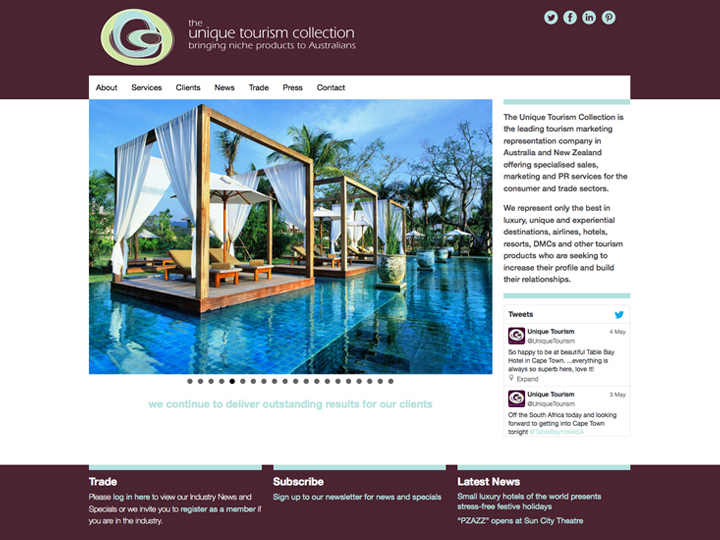 BRIEF: To develop a website to market luxury, unique and experiential destinations, airlines, hotels, resorts, DMCs and other tourism products internationally and to provide a “members only” area for businesses seeking to increase their profile and build their relationships using Unique Tourism’s services. SOLUTION: We developed a WordPress content management system incorporating the client’s extensive library of images and marketing material as well as a members registration system and a members’ password-protected resources area. OUTCOME: A website that showcases Unique Tourism’s extensive services, provides a trade area that is useful to members and enables the client to attend to ongoing refinement expansion and refinement of website content in-house.